Aryan Saluja Student of the Year Competition organised by The Times of India -Nie X Student of the Year Award Aryan Saluja of X A, Presidium Ashok Vihar won the Student of the Year Award organised by The Times of India -Nie. SIYA BERRY RECITATION COMPETITION VIII SECOND POSITION SIYA BERRY OF CLASS VIII-B FROM PRESIDIUM INDIRAPURAM, SECURED SECOND POSITION IN RECITATION COMPETITION AT POETIC RAGA - 2016. ANUBHI SRIVASTAVA RECITATION COMPETITION V SECOND POSITION ANUBHI SRIVASTAVA OF CLASS V-H FROM PRESIDIUM INDIRAPURAM, SECURED SECOND POSITION IN RECITATION COMPETITION AT POETIC RAGA - 2016. 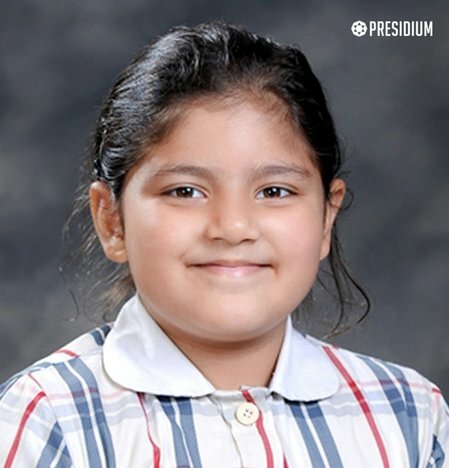 SAMEEKSHA TANEJA RECITATION COMPETITION IV THIRD POSITION SAMEEKSHA TANEJA OF CLASS IV- T FROM PRESIDIUM INDIRAPURAM, SECURED THIRD POSITION IN RECITATION COMPETITION AT POETIC RAGA - 2016. 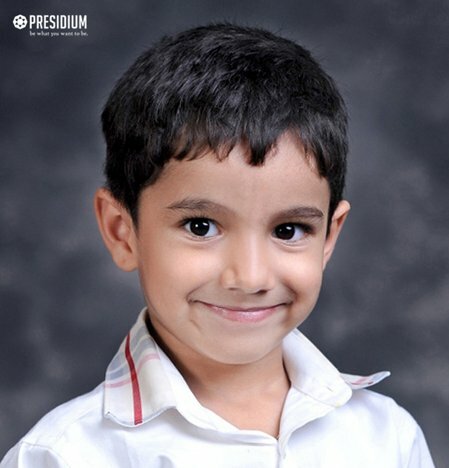 ARYAN AWASTHI CAMUN CONFERENCE X VERBAL MENTION ARYAN AWASTHI OF CLASS X-D FROM PRESIDIUM INDIRAPURAM, WON VERBAL MENTION AT CAMUN CONFERENCE. PIA KHURANA THEATRE VI RUNNER'S UP PIA KHURANA OF CLASS VI-B FROM PRESIDIUM INDIRAPURAM, WON RUNNER'S UP TITLE IN THEATRE AT PANTALOONS JUNIOR FASHION ICON 2015. ISHIKA CHOUDHARY CAMUN CONFERENCE IX SPECIAL MENTION ISHIKA CHOUDHARY OF CLASS IX-C FROM PRESIDIUM INDIRAPURAM, WON SPECIAL MENTION IN CAMUN 2016. MAYANK MANI DPSIMUN CONFERENCE XI HIGH COMMENDATION MAYANK MANI OF CLASS XI-A FROM PRESIDIUM INDIRAPURAM, WON HIGH COMMENDATION IN DPSIMUN 2016. N. SABREESH DECK AND DEPICT COMPETITION Prep IST POSITION N. Sabreesh of Prep, from Presidium Dwarka 22, has won Ist Position in the Deck and Depict Competition. REGEENA STORY TELLING COMPETITION III IST POSITION Regeena of Class III, from Presidium Dwarka 22, has won the Ist position in the Story Telling Competition, 2016.